Barun Sobti is an Indian model and television actor whose career was launched from the STAR Plus television series Shraddha. He is recognized for playing the lead male character, Shravan Jaiswal, in the Sony TV's serial Baat Hamari Pakki Hai. He became popular with the STAR Plus's romantic drama television series Iss Pyaar Ko Kya Naam Doon?. 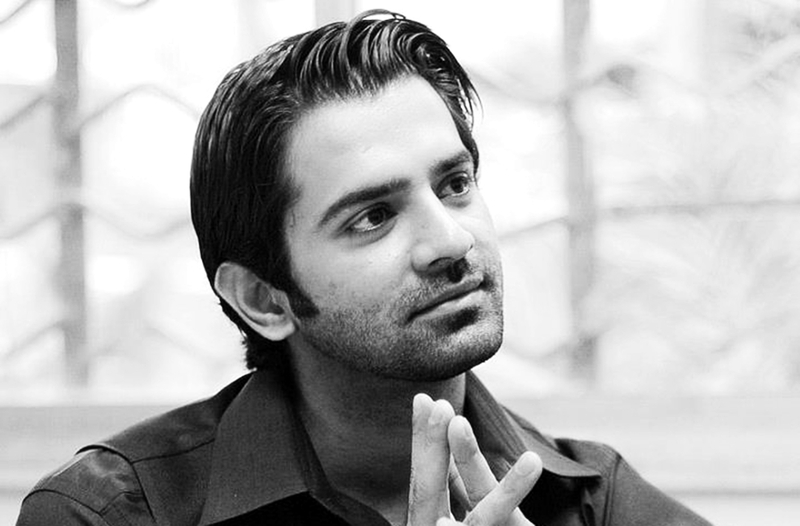 Barun Sobti was born on 21 August 1984 into a Sikh Punjabi family in Delhi to Raj Sobti (Father). 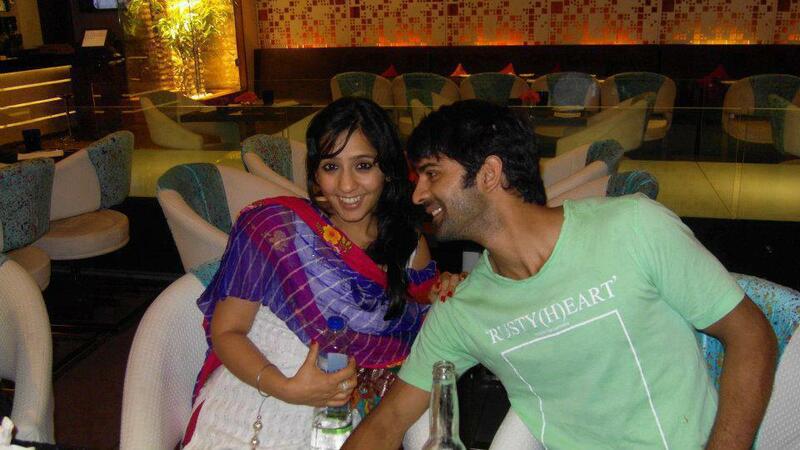 Barun Sobti have a elder sister named Richa Arora. 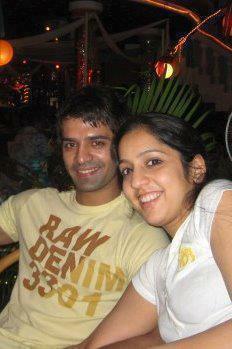 He got married to Pashmeen Manchanda on 12th December 2010. He completed his schooling in Delhi from St. Mark's School, Meera Bagh. Barun before entering into the entertainment industry worked as an operation manager at Jindal Telecom for 7 years. Barun Sobti's first Bollywood film Main Aur Mr. Riight has completed shooting and is currently in post filming. 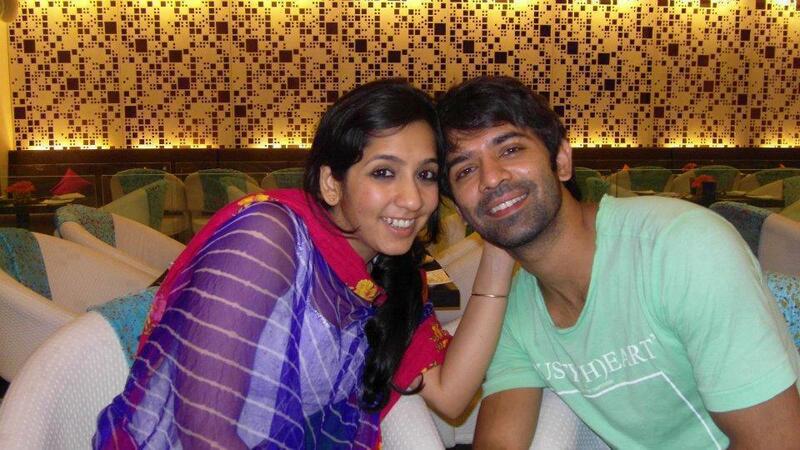 Barun Sobti's wife Pashmeen Manchanda was a topper in 2001-2002 in Class 12 from St. Marks school delhi and graduated from La Trobe University in 2007. Pashmeen Manchanda has done finance major from La Trobe University and works for a very reputed accounting firm. Actor Barun Sobti’s rugged look and intense character on Iss Pyaar Ko Kya Naam Doon, won him many female fans, but clearly his heart only beats for his wife, Pashmeen Manchanda. Barun married his childhood sweetheart two years ago, and in this exclusive chat, gives us an insight into their relationship. How did you first meet your wife? We were in the ninth standard when we met for the first time and have been together ever since. We were in love, but she wasn’t sure if she wanted to marry me. Later, when she went to Australia after college, and we both realised that we couldn’t imagine our lives without each other. Tell us about the highs and lows in your relationship. There haven’t been any lows as such, but like any other couple, we fight on and off. Having a long-distance relationship was the high. It was tough to stick by each other for five years, but we did it! What quality do you think she doesn’t like in you? How has the relationship, and your love for each other transformed after marriage? The cute thing about being in a relationship is that you always miss being around your partner. After marriage, the good part is that you’ve got them forever. You have everything you wanted, and there’s nothing more to achieve. As for adjustments, I think every relationship changes every day. Who is the first one to apologise after a fight? I don’t think there’s a count, but she’s quite practical and wants to make things better. So she’s the one who always makes the first attempt. Main mooh phulata hoon (I sulk). She needs to convince me to get back to normal (laughs). What’s the most special thing you have done for her? I don’t believe in materialistic gifts and grand gestures. Every day is simple yet special, and we keep each other happy. But once I went to Australia to meet her and we ordered food in a restaurant. The dish I ordered wasn’t that good so she readily switched her plate with mine. It was such a sweet gesture. Probably it was that moment when I knew, I wanted to marry her. 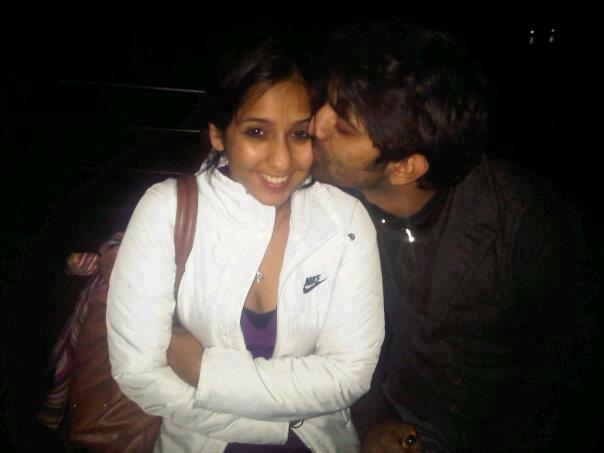 PASHMEEN MANCHANDA you are very lucky !! Everyone want him, but you have it!! I think Barun ur wife is really cute and incredibly smart as she studied from australia.Believe itr amazingly tough to get into foreign schools.To my surprise how did she end up with u.U r really lucky. True love always comes from heart not from looks... For me, His wife is very pretty.. coz he loves her. Though I'm big fan of yours Barun, I respect your love and pray tht god gives you all happiness tht u deserve in ur life. But I guess on screen Sanaya is the best pair with u..Wish could see both of you together..
u'r understanding is awsome . aww..they look perfect together!! 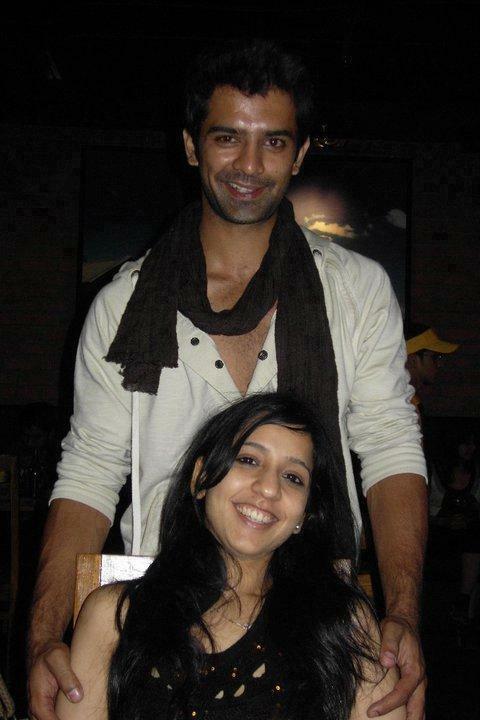 :)everybody says that pashmeen is lucky to have barun..but i guess barun is very lucky to have her..she seems so understanding coz she knows how crazy girls are for barun!! ;)and i really wish they both continue being like this forever!! her skin tone is very dark. she is cute..you are just jealous of her.. -_- because she's the lucky one..you guy are jealous of her..she is beautiful..do not a second marriage..barun fits her..and she fits him..
Hi Barun, you are a great actor with lot of spark in you. I think you and your wife look great together. You have proven that you are a very smart man-- to marry an intelligent girl. It is amazing that she has been by your side even when you were Shravan Jaiswal and now that you are Mr. Right. I think you are great... you will find many people like Sanaya-- but your wife will always be the best one --am sure! May God grant you both, all the success, nurturing and fulfillment for all the hardwork, sacrifices-- Mr. and Mrs. Sobti have made!!! We are your fans and truly love you and your beautiful wife. Cheers!! you must be blind.You cant compare Sanaya with this ugly hippo.why are you bringing her here. Barun is very unlucky to end up with her.She is insecure,controlling and manipulative two faced woman and God will bring her true face out.